Carrie Underwood is probably one of the most promising country artists to potentially cross over to the mainstream world and receive massive success, especially within the UK so I really hope that this is the year to do that for her. She does have a massive fan base in the UK but everything about Carrie and her music screams mainstream success. 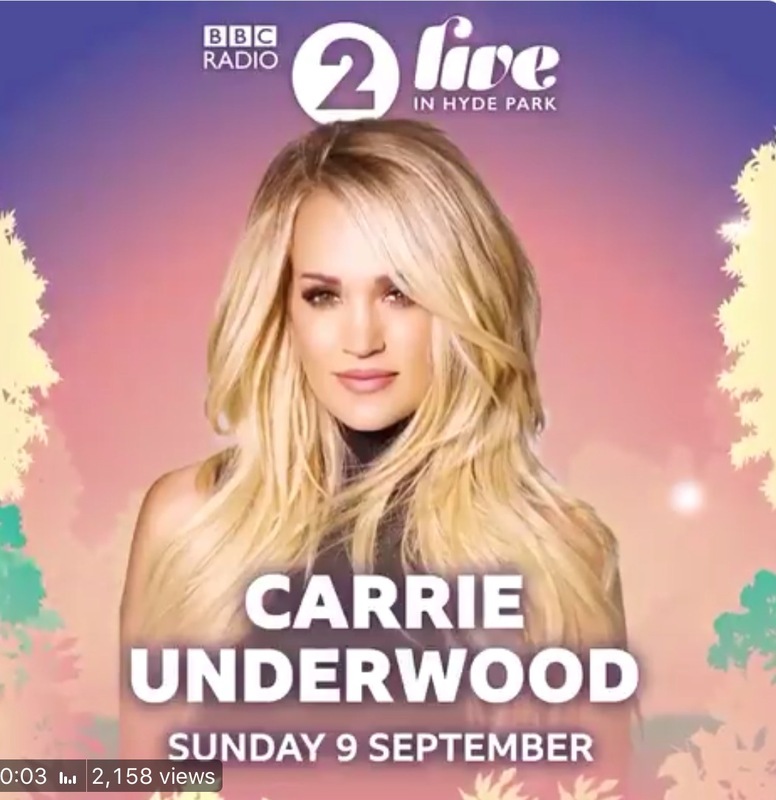 BBC Radio 2 have championed and supported Carrie for years so to have her be part of the annual BBC Radio 2 Live in Hyde Park has been a long time coming and we and fans are over the moon with her announcement. Carrie is set to release her sixth studio album Cry Pretty on September 14th. The lead single with the same title has gained massive success and captures everything that we love about Carrie and more. With a powerhouse vocal, one of the best across all genres, event goers are going to be in for one heck of a show. Carrie fans will be ecstatic and newcomers will be blown away and will find themselves fans from the moment she sings so much as one note. As well as having a strong vocal that will soar throughout Hyde Park, Carrie’s performance skills are also something to be admired as she has an incredible amount of energy and excellent performance skills which will get the crowd buzzing whether they are there in person, listening on the radio or watching on the tv. With big hits such as Before He Cheats, Jesus Take The Wheel, Blown Away, Smoke Break and many more, We will no doubt be in for a treat with not just some of her biggest hits but new music too including current single Cry Pretty. Carrie will be joined by Manic Street Preachers, Lenny Kravitz, All Saints, Rita Ora, The Band of Love and headliner Kylie. Kylie’s recent album Golden has a hint of country so country fans should enjoy her set, especially since she wrote some of the album in Nashville with writers such as Liz Rose. To be a part of something special and to see Carrie in a rare performance amongst a wide variety of music fans, you can find info and tickets right here.